Concealed fixings. 300mm long. 25mm diameter tube. 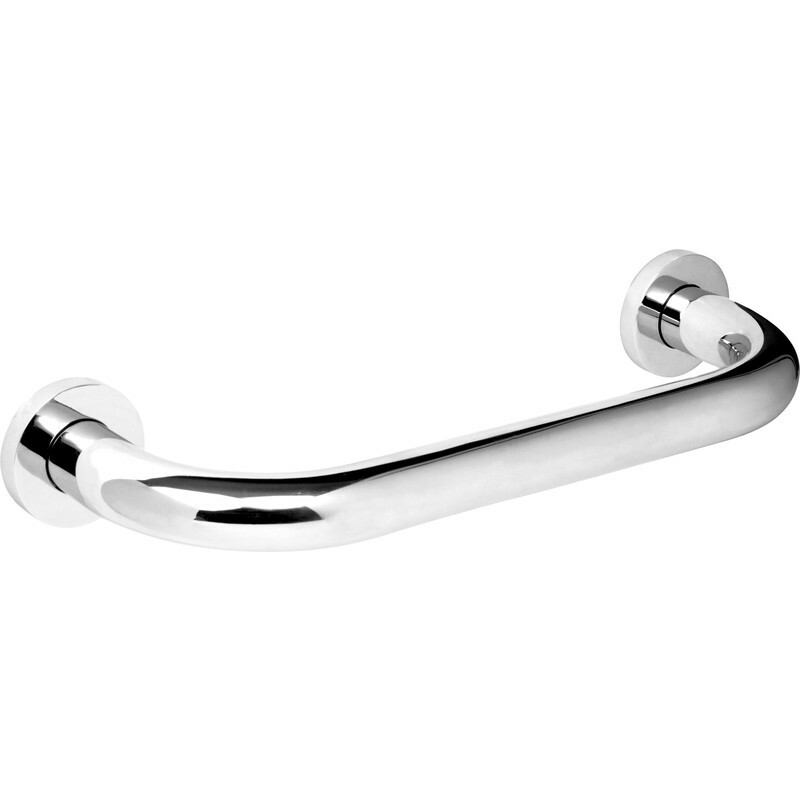 Polished Grab Rail Chrome is rated 4.9 out of 5 by 7. Rated 5 out of 5 by KenP from Good product Well made, strong, well finished. Comes complete with screws and wall plugs. Easy to fit. Rated 4 out of 5 by mick51 from Great looking I bought and fitted this item a couple of moths ago. It looks great with no screws on view. I had some difficulty fitting the product because the screw holes are not well positioned. This could be improved, also some fitting instructions would help. Rated 5 out of 5 by Mrs Bean from Excellent quality, price and service. A real FIND I bought two of these items lsst week. As I needed them sooner rather than later I checked on line for a local store where I could reserve and collect the items so I would not be disappointed, as I had been many times before with different stores. by being told 'sorry they're out of stock" Also I didn't have to pay anything until I collected them. The products themselves were of excellent quality and the concealed screws were brilliant an excellent product at a very reasonable orice, I can see that I will be a regular customer,. as well as sharing this "find" with friends and colleagues. Rated 5 out of 5 by jaysea from Polished, solid and grabable Solid, polished and grabable. Rated 5 out of 5 by Popsd from Great Grab Rail Having purchased this a week ago, it was very easy to install and looks great. Very sturdy. Rated 5 out of 5 by Al 142 from Excellent quality Have looked at similar grab rails both on line and in various DIY stores and this was by far the best for quality and the concealed fixings being threaded were excellent.